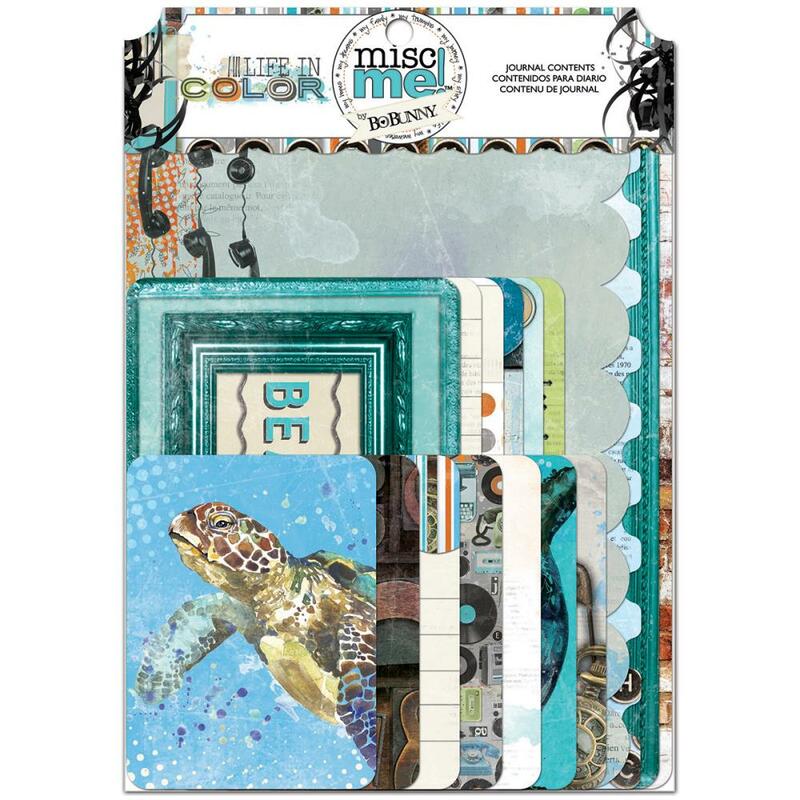 This package contains a large assortment of 3"x 4", 4"x 6" and 6"x 8" double sided Journaling Cards. Great for accenting any of your project and/or sticking them into pockets. Look for other embellishments including Noteworthy Die-Cuts, Stickers, Layered Chipboard, Chipboard Elements and Designer Paper. Part of the Life in Color Collection by BoBunny Press.